The things that my kids discover in the back of their grandparents’ closets or storage spaces is often thrilling to them, and they bring these items home with the same passion that their mother and her sisters surely once displayed for the objects decades before. 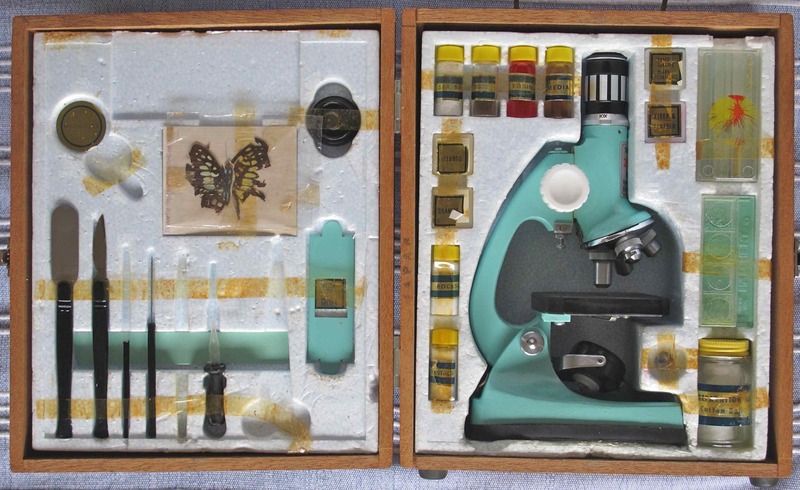 This perfectly-preserved microscope kit (c. 1971) that came in the door yesterday is no different. Now where to find new glass slides? November 6, 2012. © Jeff Koehler. I am very pleased to be in the November issue of Condé Nast Traveler, offering some of my top picks for eating in Marrakech. (I would add tangia as #6.) Turn to page 48 in your copy to read it, or click here.